Valley Kitchens is an award-winning specialist kitchen design and installation company creating premium, contemporary kitchens to suit every home. From sleek and modern to traditional and timeless, each custom kitchen is designed and built with the same quality craftsmanship and personal service we’ve given our customers in the past 36 years. Whether it’s the kitchen of your dreams for your forever home or a standard layout for an investment property, the Valley Kitchens team works with you to create a custom, functional design for your needs. Our designers pride themselves on staying at the forefront of the industry and give you expert advice on the latest trends, materials and innovations to help you create the kitchen you’ve always wanted. 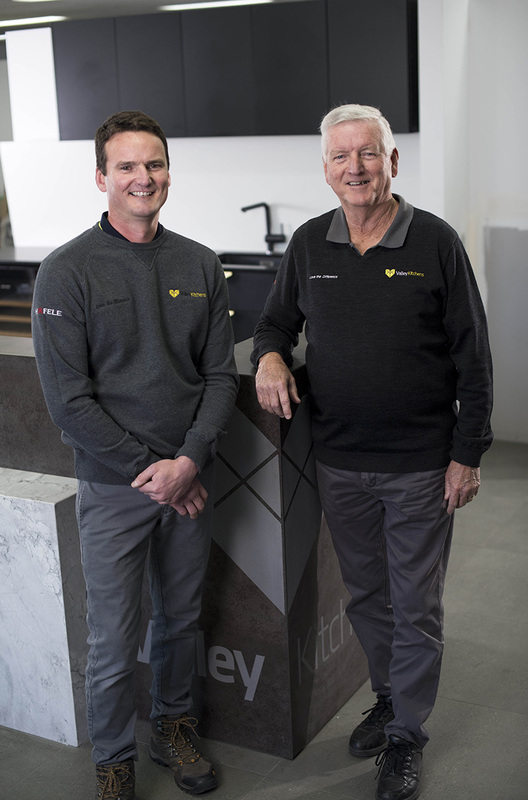 Founded in 1980, Valley Kitchens has been managed by Bruce Allinson and his family for 36 years and has a long and proud history as a kitchen manufacturing specialist. Today, the company is maintaining and increasing its reputation as an honest, reliable and loyal local manufacturer. In the years we’ve been around, we’ve based our business on good old-fashioned service, skilled workmanship, innovation, leading edge design and quality products. Today, our team of 25 is made up of highly-skilled men and women – most of who have been with our company for years. Our cabinet makers, wood machinists, drafts people, interior designers and admin staff all work together to design and build kitchens made to stand the test of time. Driven by the very values on which Valley Kitchens was founded all those years ago, we’ve established a reputation for the personal service, contemporary and functional design, exceptional craftsmanship and the very best client experience. “In all the years Valley Kitchens has been in business, the most important thing to our company has always been our customers. Making sure our clients are happy with the final product is absolutely paramount to us. And it’s easy because we genuinely enjoy what we do – meeting people, helping them design and create the kitchens of their dreams and establishing lasting relationships with them. 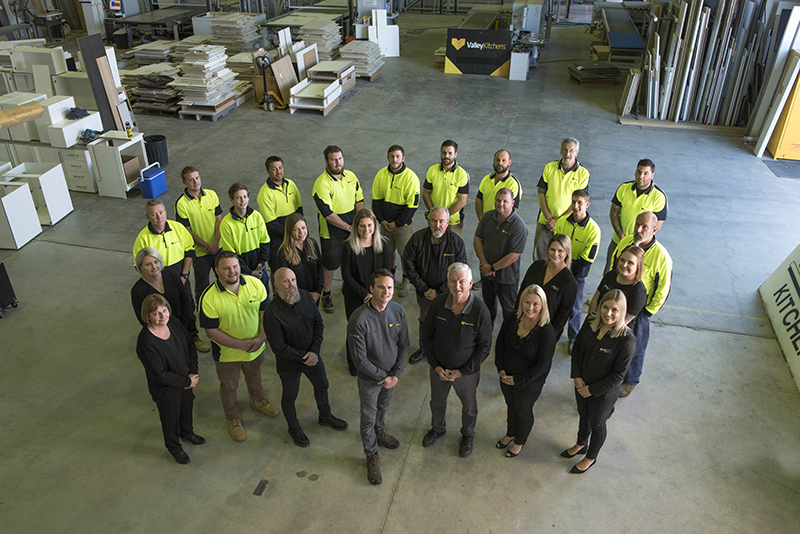 Honesty is a huge cornerstone of our business and as a result, we’ve worked with many of our customers – including builders and other trades – for the entire 36 years we’ve been in business. Our staff are like family, because they all have the same beliefs and values that Valley Kitchens was built on. Every one of us is dedicated to delivering the best product and the best service. Backed up with quality, long-lasting materials, creativity and award-winning products, Valley Kitchens is the company I wanted it to be when we first opened the doors in 1980.